Golden Acre is an early variety cabbage. The small - medium sized, solid heads can be picked from July onwards from March sowings. 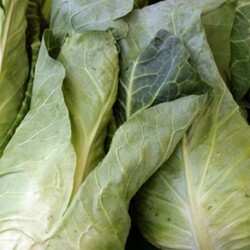 Cabbage is a cool season plant that is a good-for-you leafy green vegetable. Tasty and versatile, cabbage heads can be a bit on the finicky side to grow. But once you have mastered all the plant quirks, it’s easy to grow cabbage heads the size of dish pans. Besides having fun seeing just how large a cabbage you can grow in your home garden, this cool season vegetable allows you to grow three crops per year in the same spot (providing you have a long enough growing season in your region). 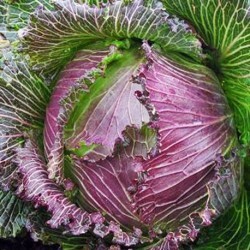 Cabbage seeds are planting in late winter or early spring and the heads reach maturity quickly. After harvesting in early summer, another crop of a warm season vegetables, such as pepper, can be planted in the same location. When the pepper plant has finished its production, pluck it up and plant another crop of cool season vegetables that will reach maturity before winter. Alternating cool season and warm season vegetables allows you to grow more varieties of fresh food in the same garden space and double or triple your food production. Always work in more compost into the garden soil between crops and rotate crops to prevent soil nutrient depletion and/or disease or pest infestation. 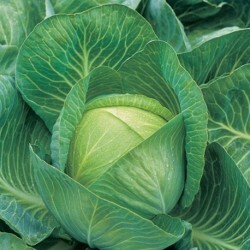 As with most all vegetables, cabbage prefers a sunny location that has well-draining soil in which to grow. Start seeds indoors 6 weeks before the last predicted frost date in spring. Use 4-6 inch deep container(s) that are filled with a good quality potting soil and sprinkle tiny cabbage seeds over top of the soil. Lightly mist with warm water, then gently sprinkle a thin layer of potting soil over top of moisten seeds. Place planting container(s) in a warm and bright location, keeping soil misted and moist at all times. When plants are 3-4 high, thin them out to 2 inches apart. Continue to keep soil moist. One week prior to transplanting, the cabbage plants will need to be hardened off so they can withstand the shock of being transplanted. Place the planting containers with the seedlings in an outdoor location that is protected from the elements, but where they will be exposed to direct sunlight for part of the day. Keep soil moist during the hardening off stage and bring the seedlings indoors in case of inclement weather. Wait for an overcast, cool day to transplant cabbage seedlings into the garden soil, and the seeds can be sown direct outside too at this time. Create 4 inch deep rows in prepared garden soil that are 1-2 feet apart. Make the rows 1 foot apart if you want fast developing small heads and 2 feet apart if you want larger heads that will take a little longer to develop. The closer the plants are, the smaller the heads will be. Place seedlings in the rows 1-2 feet apart, water and gently rake garden soil over the roots. Do not allow soil to cover the crown of the developing cabbage head. Soil can be mounded around the base of the head as it develops. Cabbage is one plant that benefits greatly from being mulched with a rough mulch, like pine bark and wood ashes. Not only does the mulch help retain soil moisture and prevent weed growth, the rough mulch helps prevent cabbage worms, snails and slugs from attacking the heads. Garden pests that creep and slime their way across the soil’s surface to reach their food source do not like to creep across a rough surface and will head in another direction after coming into contact with a layer of rough mulch. 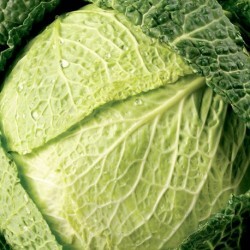 Cabbage is a heavy feeder and will need a side dressing of compost or drink of compost tea to help them reach maturity. 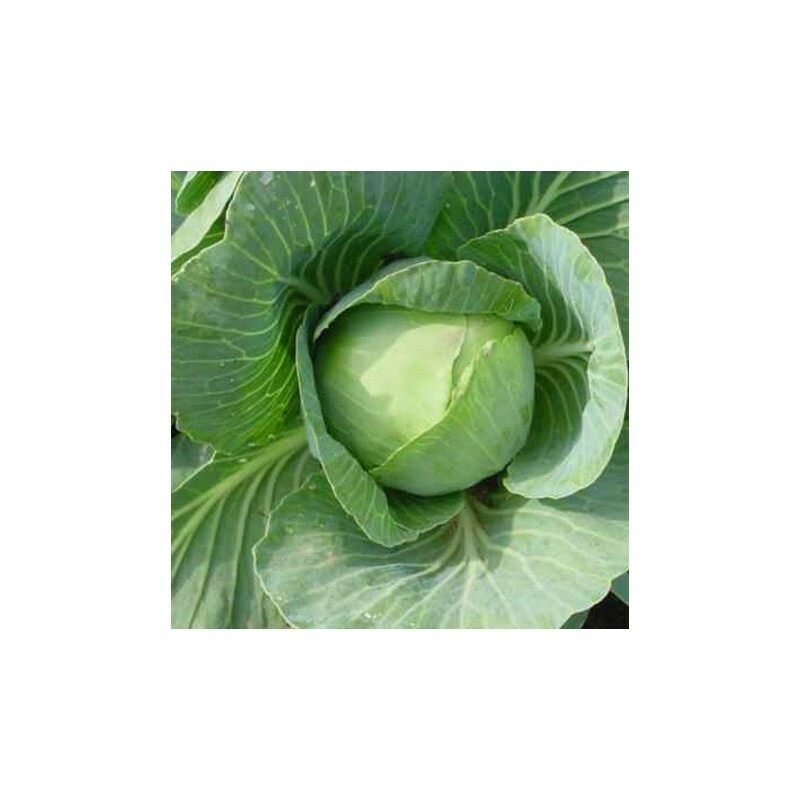 Don’t plant cabbage near other heavy feeders, such as broccoli or tomatoes, the completion between the plants for the available food and water will stress the plants and cause them all to produce poorly. Soil should be kept moist at all times and care will be needed to ensure the water is penetrating through the rough mulch and reaching the soil level. Cabbage golden acre heads can be harvested at any size. To harvest, grasp the top of the head firmly with one hand, bend it over slightly so you can see the stalk, then cut the head loose from the stalk with a sharp knife. Remove large outer leaves and discard, they are typically tough and taste bitter.